The regional assembly of Extremadura has directed the regional health ministry to begin to issue new health cards to transsexuals, making the region the fifth of Spain’s 17 autonomous community to provide transsexual individuals with public health cards containing the name and gender with which they self-identify. As a result of a measure introduced by Podemos and passed in a plenary session of the Extremadura parliament with support of the Socialist party (PSOE), the regional Junta government will direct the Extremadura Health Service (SES) to establish a protocol by which transsexuals can apply for and receive the new cards. Both the Partido Popular (PP) and Ciudadanos abstained on the parliamentary vote. Under the terms of the new protocol, transsexual individuals will be able to receive the health cards without first having to go through the bureaucratic hurdles of modifying their name or gender in the civil registry or on their DNI personal identification. In the case of minors, a prior court ruling on their decision to change their identity will not be a prerequisite to obtaining the health card. 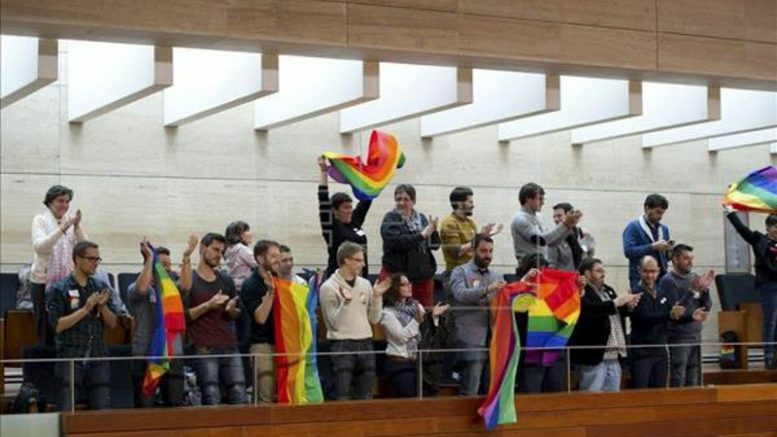 According to Podemos regional deputy Jara Romero, the new measure was introduced to ensure the health ministry’s compliance with the provisions of Extremadura’s 2015 law guaranteeing equal rights to lesbian, gay, bisexual, transgender and intersex individuals, as well as public policies against discrimination based on sexual orientation and gender identity. Extremadura now joins the regional autonomous communities of Andalucia, the Balearic Islands, Aragon and Valencia in providing health cards to transsexuals.